Mortgage Professionals Canada has renewed calls for changes to the federal government’s stress tests, arguing they pose serious risk to the housing market and overall economy. The association’s annual report on the state of the mortgage market, authored by its Chief Economist Will Dunning, followed up on previously published concerns over the federal government’s mortgage stress tests. It noted that housing markets across Canada slowed significantly in 2018 due to a combination of higher mortgage stress tests, higher interest rates and other policy changes that have “constrained” home buying. The report notes that resale activity fell an annualized 11% in 2018 and was down 15% from the all-time high in 2016. 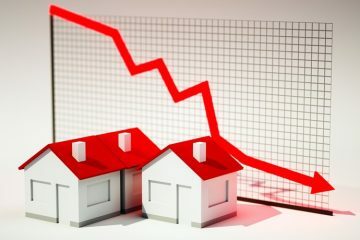 “The mortgage stress tests are raising the risks to house prices and the economy of Canada,” Dunning wrote in the report, adding that falling house prices pose one of the greatest threats to a modern economy due to impaired consumer confidence. Not only that, he says regulations intended to remove risk from the housing market are actually having an opposite effect by driving a greater share of buyers to alternative lenders that are not federally regulated, and that often come with higher interest rates. It is estimated the stress tests introduced in 2016 and 2018 will have affected upwards of 200,000 Canadian families by the October 2019 election, by way of reducing their home-buying power or preventing them from purchasing altogether. Relaxing rules to make it easier for mortgage borrowers with small, alternative lenders to transfer to more liquid and lower-cost lenders. In an interview with the Toronto Star, Dunning said the issue isn’t the stress test itself, but how it’s being implemented. “There is nothing wrong with stress testing mortgages,” he said. The issue with the current stress tests is that they don’t take into account the fact a borrower’s income will likely rise about two percent annually over the period of the five-year loan. The current stress test for uninsured mortgages (those with a 20%+ down payment) is the greater of the Bank of Canada’s five-year benchmark rate (currently 5.34%) or the borrower’s contract mortgage rate plus two percentage points. Housing is expected to be a key issue in the lead-up to this October’s federal election. The first hint of that came on Tuesday, when Finance Minister Bill Morneau said during a pre-budget event that the government plans to look into ways to make homebuying more affordable for first-time buyers. He noted the government has already tried to increase the supply of affordable housing and control runaway home prices in the country’s largest markets by introducing the stress tests. Hasn’t there been many reports in BC about the various loop-holes in blind-trusts coupled with unverified income from foreign investors looking for mortgages, and laundering of drug money through casinos that perhaps has inflated the value of homes? Why the general population goes against the wisdom of “don’t over-commit yourself” (aka don’t sell your kids future for the now) is beyond me, but I see the folks in New Brunswick understand that sentiment – their mortgage to income ratios are rational. If people want to go to the unregulated lenders, then educate people and bring those lenders into the fold. The legit lenders and banks aren’t at risk because they are buying as much insurance as the gov will sell them and passing it directly on the the consumer. Don’t say we need to water down the guidelines because they are too effective for honest people. Deal with the root cause problems and not the symptoms. Here’s an idea… lower your prices homeowners! Aw sorry did your 200%-300% gain turn into a 150-250% gain? Well boo hoo! I agree with all three comments above. I beleive, It’s irresponsible to go away with the current Stress Test, we are all professionals and we know the rates will be much higher in 5yrs, renewal time. Do the math, the payments can be a disaster for many. Do the math, if 2% higher, the paymnets will be nearly 20% higher, not good for many families. According to the last report from CMHC we are now in a balance market. The stress test is more of a reality check on what buyers can ACTUALLY afford. They want to make sure that if and WHEN rates increase that people can afford what they have purchased. To those who purchased before the stress test at the max they could afford, good luck to you… when should you EVER go out and buy something that is the MAX you qualify for? We had families in the first tax bracket purchasing half million dollar homes? Why? Because the bank (which is a business!) said you could afford it? No, they are going to increase rates and make lots of money of those who took out massive mortgages. Fore the stress test should be bank rate +1, not +2. Also realistically rates do not need to go higher inflation is not overheated. Technology will keep interest rates low for a long time and keep them low. We will not see 5-6% interest rates ever again.